Cinelândia is the popular name of a major public square in the centre of Rio de Janeiro, Brazil. 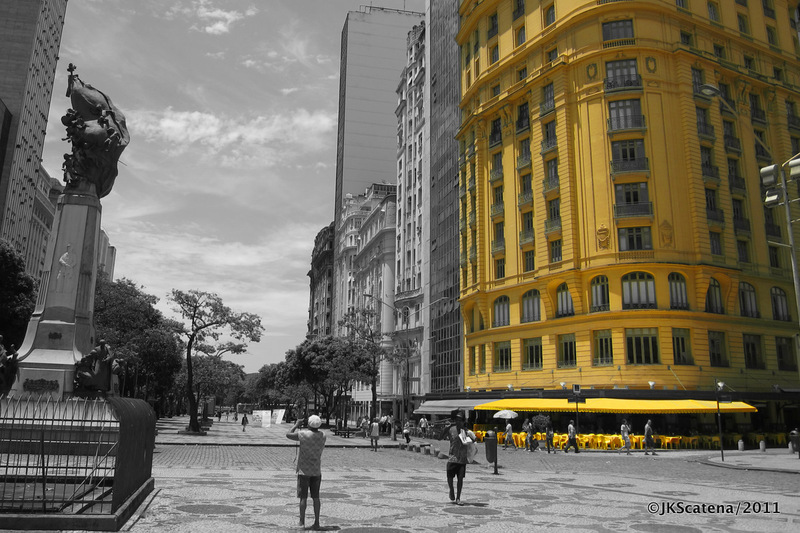 Its official name is Praça Floriano Peixoto, in honour of the second president of Brazil, Floriano Peixoto. In 1911 Spanish entrepreneur Francisco Serrador built a series of tall buildings that concentrated the best cinemas of the city. It was due to these theatres that the area became popularly known as Cinelândia (“Cinema land”). Most of the cinemas are now closed, but the region around Cinelândia is still a lively spot in Rio thanks to its bars, restaurants and cultural attractions. Great architectural composition and very nice processing ! Well done !